Copyright © Sarah Sudcowsky - This image is copyrighted. Unauthorized reproduction prohibited. This odd crystal is cm 2,5 x 1,5 x 1. Its crazy colour is probably due to a tiny iron coating, which made some surface of the crystal IRIDESCENT and orange. 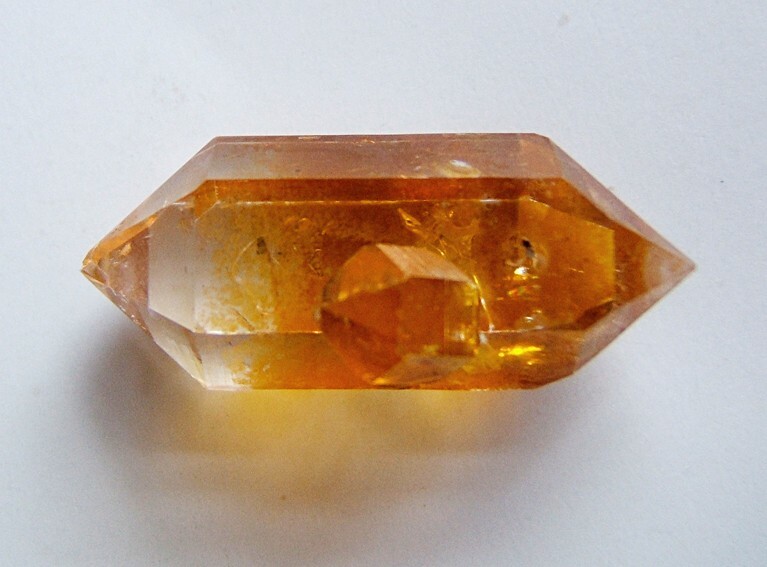 Perfectly gemmy, this quartz is from a pocket filled with small and bigger crystals(up to cm 4) with orange colours, but this is surely the best one! Found and collected by Sarah Sudcowsky.